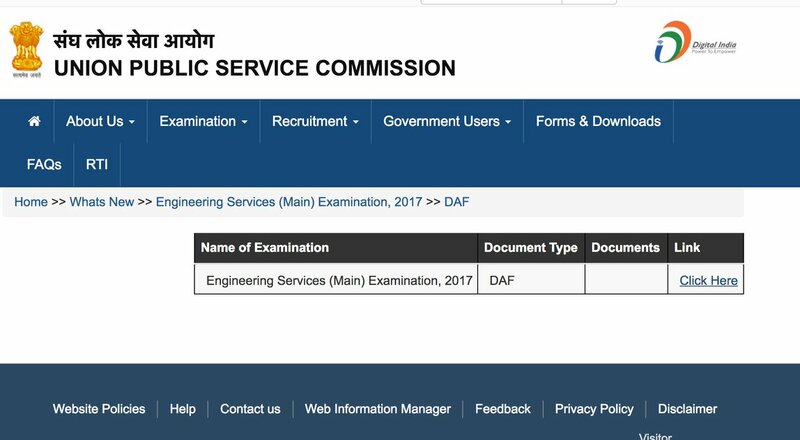 The Union Public Service Commission (UPSC) has notified about the Engineering Services (Main) Examination 2017 on it’s official website today for recruiting interested and eligible candidates in 548 engineering posts in various government offices across the country. Candidates will be able to fill up the application for IES (Indian Engineering Services) 2017 examination from the official website till July 12. Candidates will be selected for the engineering posts based on their scores in preliminary and main written examination, along with the scores in personal interview round. Candidates must be between 21 to 30 years of age to apply for the posts. Candidates need to visit the official website and click on the active link of IES 2017 examination. Candidates need to fill up all the details on the online application form and upload their photograph to complete the application process. Candidates need to apply before July 12 midnight to ensure their submission. Candidates must take a print out of the filled application form for future reference. For the detailed notification, click here.